I got this a little while back while perusing a new to me antique store. 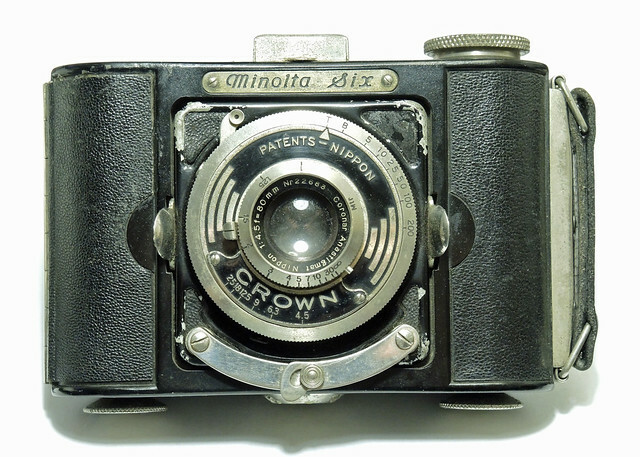 Introduced in November of 1936, the Minolta Six is a 6x6 format plastic bodied camera with collapsible tubes for mounting the lens/shutter assembly, instead of a bellows. 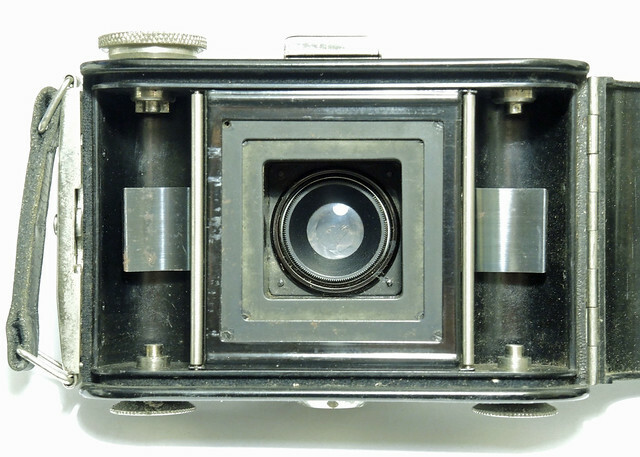 It has a Coronar Anastigmat Nippon 1:4.5 80mm lens, in a Crown B everset shutter. 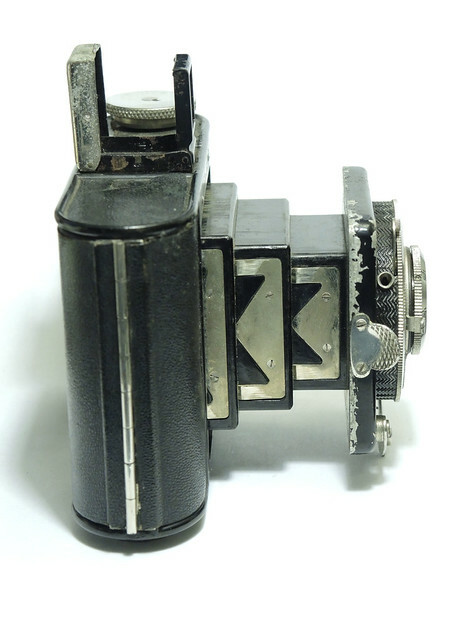 At the time of its introduction, film with 6x6 markings on the backing paper was not available, so you had to use 4.5x6 film, only yielding 8 exposures per roll (12 in 4.5x6 cameras). This required the use of three windows to properly advance the film. 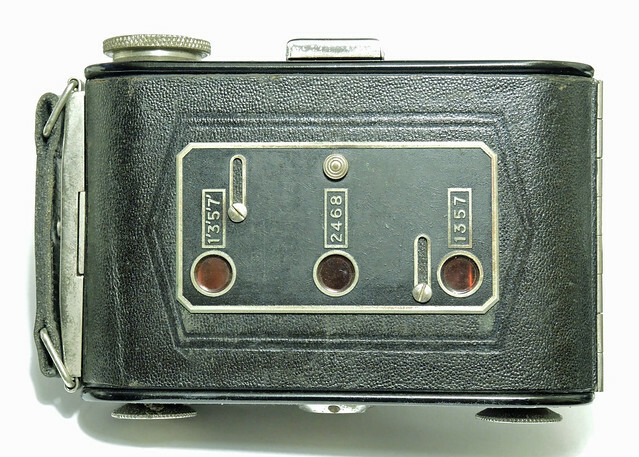 Later models had a single window in the center, and some cameras were modified at the factory to use up the last of the three window backs. There is no facility for using 4.5x6 film. 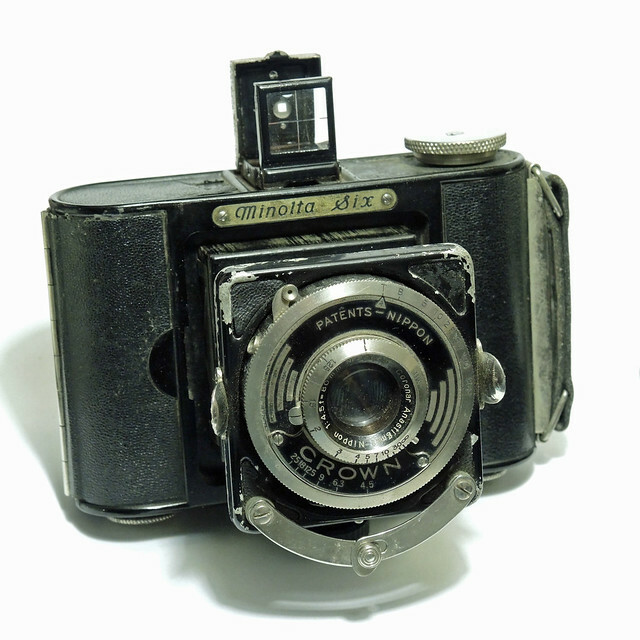 The camera shutter is exhibiting weak spring symptoms, as the T setting does not always catch, and the shutter charging lever does not always snap back into position. The lens has some internal haze too, so a good cleaning and adjustment are in order. Nice. If a little strange... Before I owned too many cameras, I used to want one of these.